It’s time to ditch the army of remote controls linked to your home media players. With a universal remote, you’ll have simplified control over all your music and movie gadgets. No more shuffling through remotes like a pack of cards. The problem with selecting universal remotes comes down to lack of competition. Certain brands dominate this market, with few others competing. This leaves the remaining market share open to cheaper manufacturers and unreliable or shoddy products. Whereas reviews can often be biased, our recommendations are based on consumer input. We’ve scoured the internet to bring you the best universal remotes based on aggregated review scores. Our category winners are high-quality products tried and tested by television lovers worldwide. These remotes will put all the power in the palm of your hand. 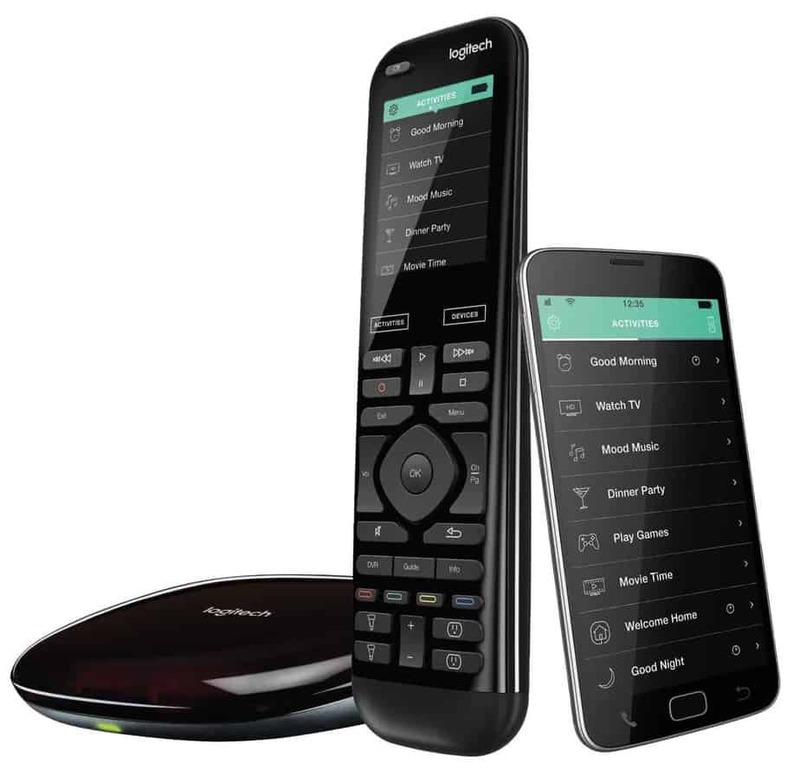 The Logitech Harmony Elite, complete with full-color touchscreen and Alexa compatibility, is the ideal complement to the rest of your top-of-the-line smart devices. If you’re a true connoisseur of high-end high tech, look no further: This is your remote. With programmable commands and compatibility for over 225,000 devices, the Logitech Harmony 350 offers unmatched functionality for its price point. No one will guess how little you actually spent on this remote (and we won’t tell). With the Amazon Fire TV Cube, you won’t have to lift a finger to enjoy your movie-watching (or show-binging) experience. Shut off the lights, turn on the television, and get access to on-screen web browsing using nothing but that sultry voice of yours. Featuring the sleek aesthetics of LED backlighting and a vast Device Code Database with customizable macro commands, the Inteset INT-422 4-in-1 is beauty and brains. This remote is the perfect choice for streaming with Xbox One, Roku, Kodi, and a whole lot more besides. For something that won’t break the bank, but doesn’t sacrifice quality, there’s our best budget remote. Alternatively, if money’s no object, the best luxury remote looks the part alongside your other gadgets. Avid streamers should pick up the best streaming remote, or for convenience, the best voice-activated remote wins. What Does a Universal Remote Do? In the past, it wasn’t uncommon to have to leave the sofa to change the channel on your TV. Remote controls revolutionized TV viewing and made our lives a whole lot easier. Unfortunately, the explosion of entertainment devices in the home has brought an army of remotes to our coffee tables. A universal remote makes your existing hoard of remotes redundant. That doesn’t mean you should throw them away – after all, they are expensive. Rather, you’ll be able to synchronize their functions into a single unit, provided they’re compatible. How Do Universal Remotes Work? 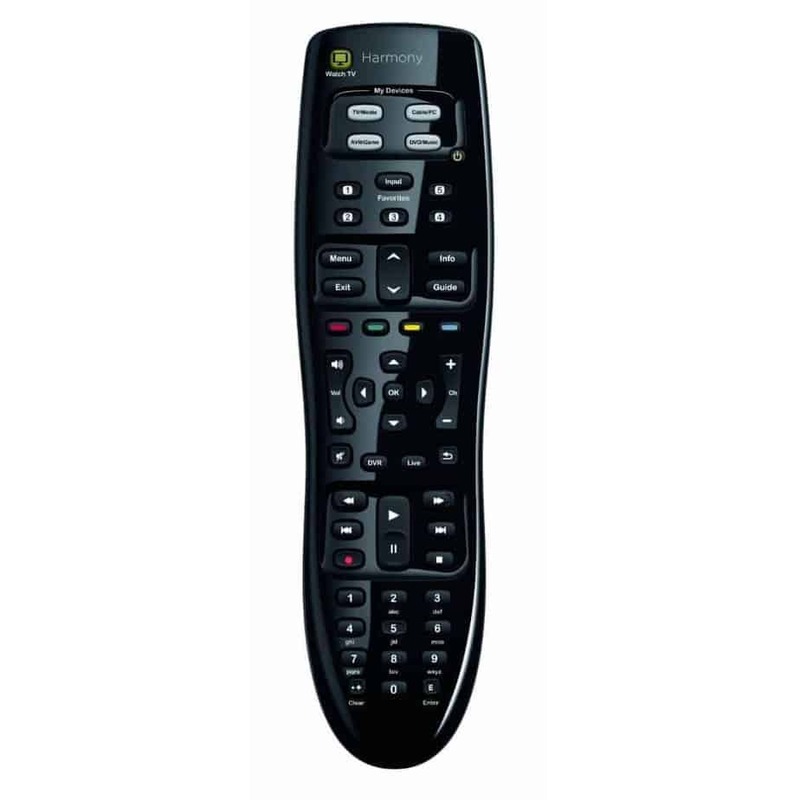 Most remotes utilize infrared light spectrums to send instructions to a receiver within their device. The device interprets this signal as a command or set of commands. Signal strength and modulation vary from one manufacturer to another, so as not to cause conflict. Universal remotes come armed with programmable memory. This feature allows you to capture the unique signals generated by individual remotes, and consolidate them into one device. Your new universal remote remembers these commands and thus you have control over every device from a single unit. What Devices Can Be Used with Universal Remotes? 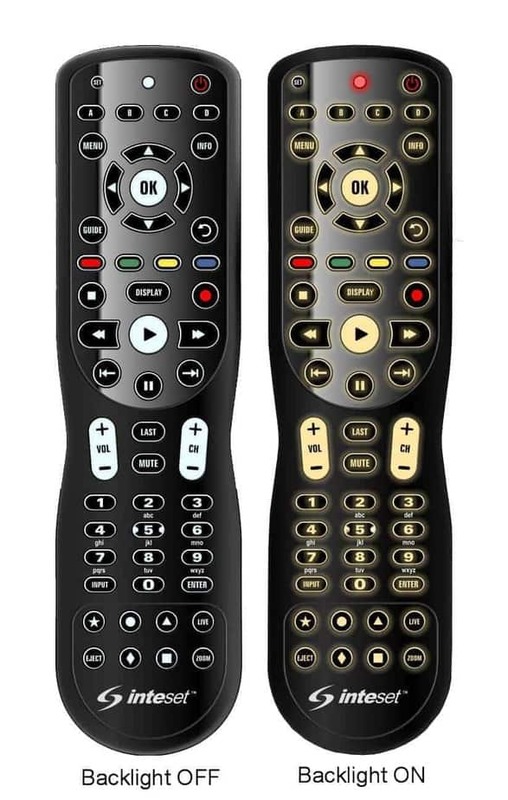 Universal remotes have support for televisions, sound systems, cable TV boxes, streaming boxes, and some games consoles. However, the definition of ‘universal’ can vary from one remote to another. While a universal remote may work with one specific brand and model of device, it may not work for another. There is a wide variation in the number of devices supported by different remotes. For example, the Logitech Harmony 650 supports over 225,000 devices, whereas the Inteset INT-422 supports over 100,000. Always check that your devices will be supported. You should consult product listings and user manuals before committing to a purchase. Some manufacturers, such as Logitech, provide a database for checking compatibility with a specific device. 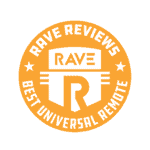 What Are the Best Universal Remotes? In some cases, the category winners were nearly beaten by strong contenders. The Philips SRP 5018/27 8-in-1 remote was a runner-up for best budget remote, while the Logitech Harmony Companion was a close second for the best streaming category. When only luxury will do, the Logitech Harmony Elite’s full-color touchscreen fits right in alongside your other smart devices. If you have a remote for the TV, streaming device, and cable subscription, the Elite will make all three obsolete. You won’t get a universal remote like this on a low budget. Alexa compatibility extends your smart home environment, while support for 15 devices doubles the capability of most other universal remotes. What’s more, the touchscreen has more than just a glorified set of TV controls. Power on and automatically fine-tune your devices with a single tap, or even switch your smart lights on and off. With the Harmony 350, you’ll get support for up to 8 devices. For most people, this will be enough to consolidate all the remote-controlled gadgets in the house. What matters here is that the Harmony 350 typically comes in over five times cheaper than the Elite. Functionality-wise, you’re not penalized for spending less. There may be no touchscreen, but you’ll still have programmable commands, compatibility for over 225,000 devices, and a sleek, black chassis. It’s simplicity, without having to shell out a lot of money. With Amazon, you already know you’re getting a quality, reliable product. The Fire TV Cube represents the obvious choice for an Amazon Echo household. Alternatively, the Cube makes a worthy upgrade to the existing Fire TV Stick. Using nothing but your voice, the Cube lets you switch on the TV or the lights. You’ll also have voice-activated access to Play, Pause, and Rewind functions, as well as web browsers for online browsing. Developers will love the freedom that the Inteset INT-422 4-in-1 brings. Built-in ‘Macro Programming’ allows customized strings of commands. Moreover, the Device Code Database feature brings tons of customized macros shared by other device owners. Whether you’re streaming from Apple TV, the Xbox One, or Kodi, this remote comes pre-programmed for these devices and more. The Inteset INT-422 even has volume and channel lockdowns to prevent the kids from overriding your choices. Finally, LED backlighting brings a touch of class to an inexpensive product. Techole 4K HDMI Switch: Not enough HDMI ports on the TV to support your growing army of gadgets? This HDMI switch grants you an additional connection, with support for 4K video. 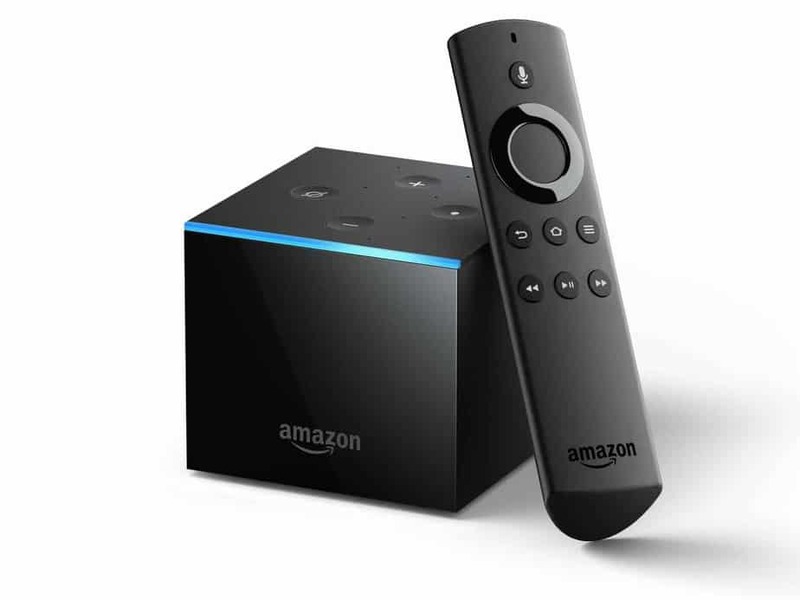 Amazon Fire TV Stick: Even without the Fire TV Cube, you can still exercise smart control over your TV with the Fire TV Stick. It’s voice-activated and powered by Alexa. Sennheiser HD 800 S: When the rest of the family goes to sleep, you don’t need to turn off the TV. These Sennheiser headphones have excellent noise cancellation, with incredible sound quality. Aiwa Exos-9 Bluetooth Speaker: There are other ways to ditch your sound system remote. The Aiwa Exos has overwhelmingly positive feedback from thousands of customer reviews.